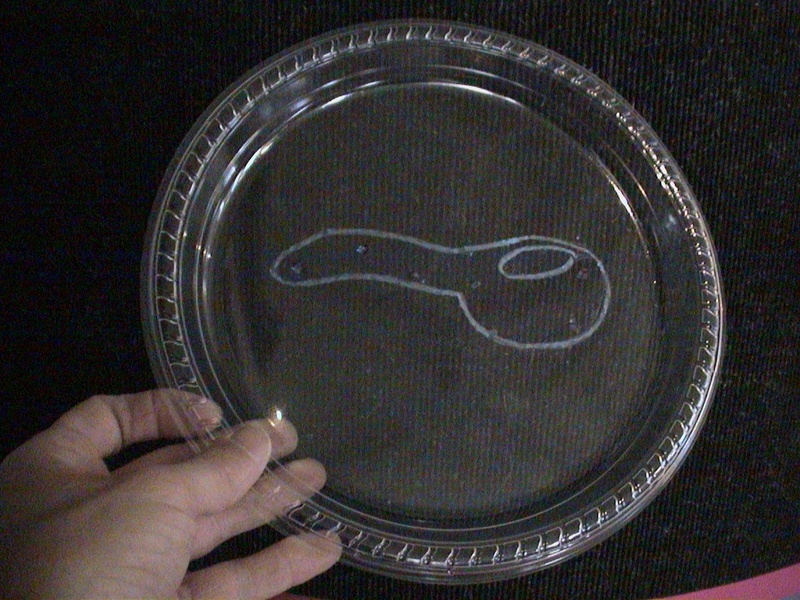 Alien Platecraft Decorate and fly a saucer-like Platecraft. Ref. Analemma Plot the figure-8 of an analemma on a globe through one year. 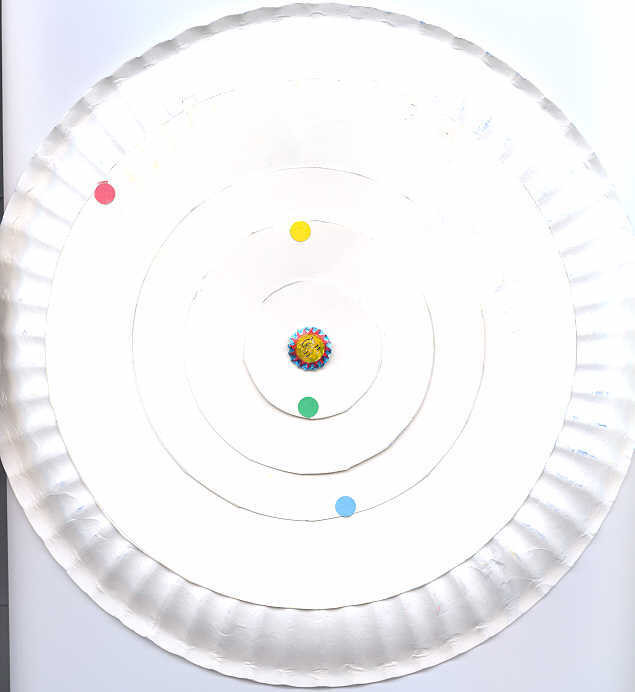 This year-long project is a variation of the Sub-Solar Cup activity. Ref. 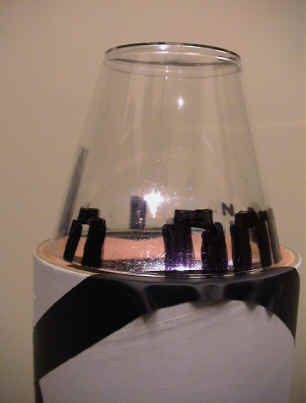 All-Sky Projectors for Portable Planetariums Project all-sky images onto the inside of a Starlab dome for pennies apiece using clear plastic cups. Ref. 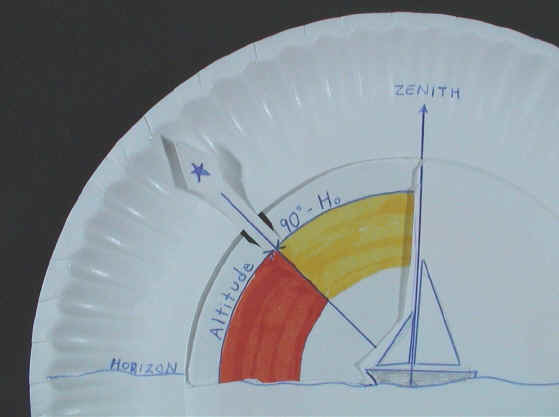 Altitude Measurer Make an astrolabe-like instrument to measure the altitude of celestial objects. Ref. Altitude of the Noon Sun Observe, collect data, and discover the pathway of the sun. Ref. 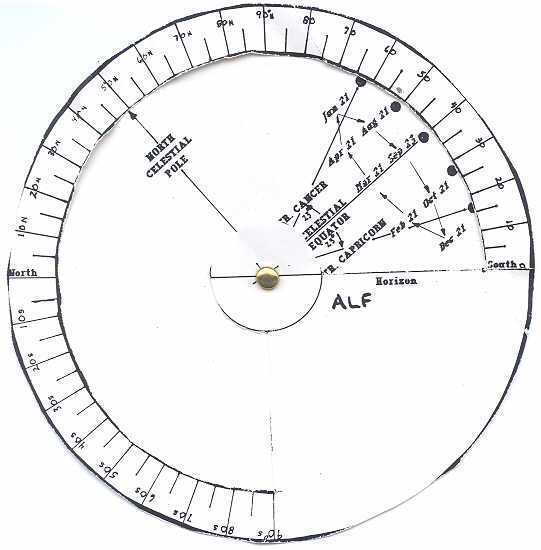 Altitude of the Noon Sun II Demonstrate the relationships between the date, the altitude of the Sun at transit, the observers latitude, and the altitude of Polaris. Ref. Altitude of the Noon Sun III Construct an Altitude/Latitude Finder (ALF) to understand, explain, and demonstrate how the sky changes when one changes latitude. Ref. 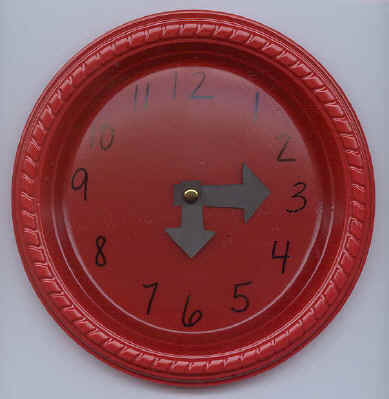 As the World Turns For young participants, make a rotating window that segues from day to night drawings. Ref. 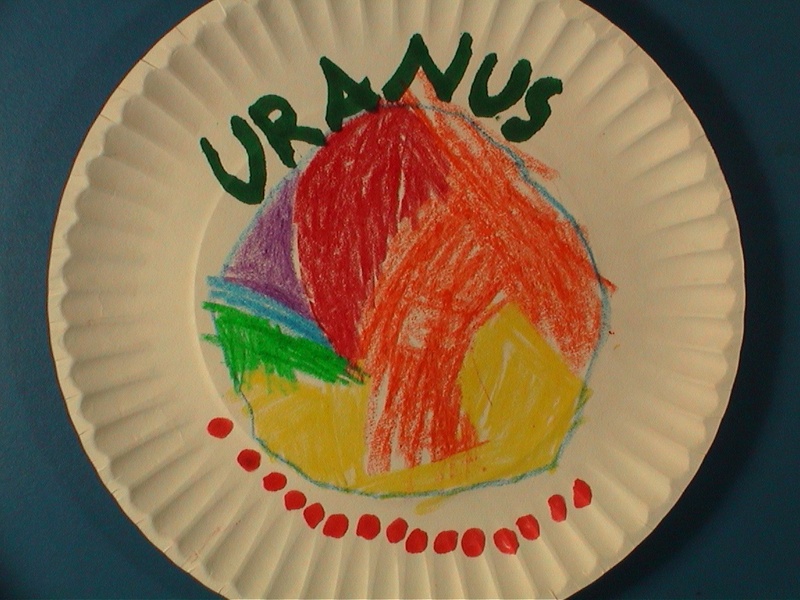 Bad Moons Rising Children's books often depict the moon inaccurately. See if you can determine the errors in these children's books. Ref. 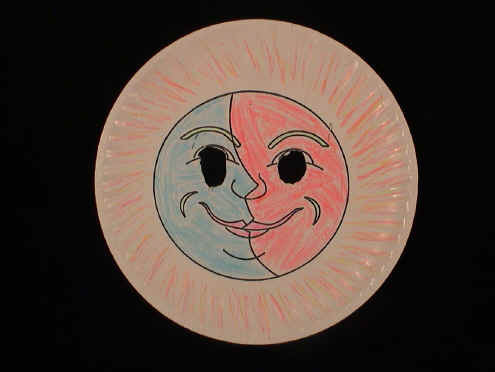 Core of the Matter Illustrate sun, moon, or planet interiors by coloring and intersecting three plates. Ref. 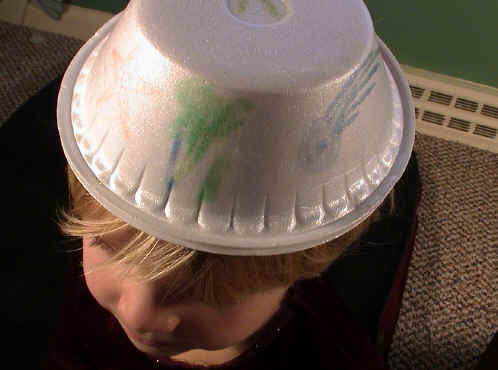 Cosmic Hats Decorate and wear Cosmic Hats. Ref. Deep Field View Create a telescopic view of a starfield using a tempera paint that reacts with a foam plate and compare a with Hubble Space Telescope image. Ref. 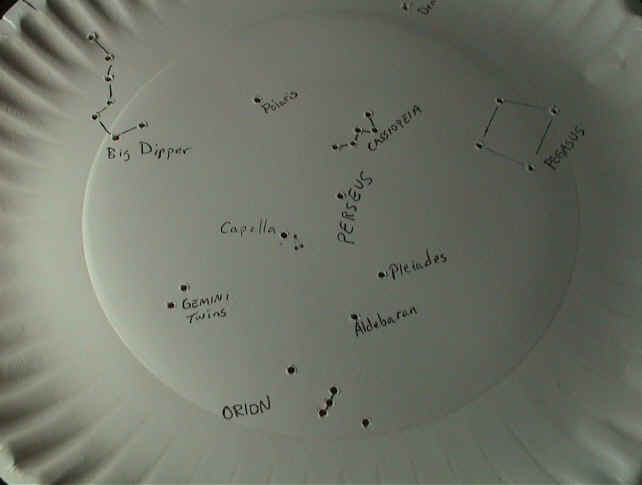 Defining the Zodiac Make a model to demonstrate how the zodiac is defined by the stars seen in the plane of the sun. Ref. 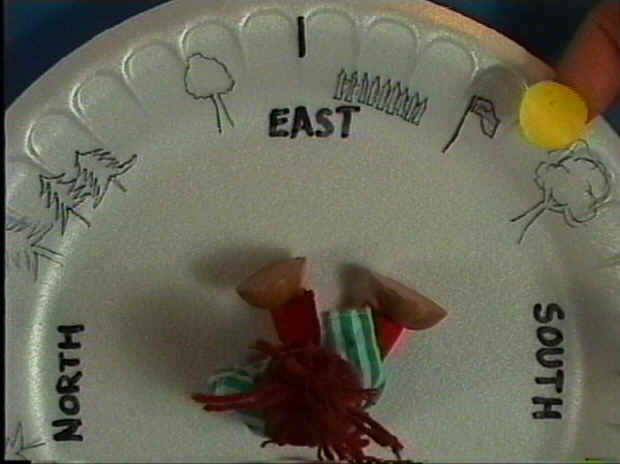 Directions-Earth & Sky Correlate cardinal directions both from the Earth-bound perspective and when looking upward. Ref. Directions- Terrestrial and Celestial Correlate cardinal directions both from the Earth-bound perspective and when looking upward. Ref. Drinking Gourd Use a Platisphere to depict the seasonal variations of the Big Dipper's aspect as seen by slaves traveling north on the Underground Railroad. Ref. 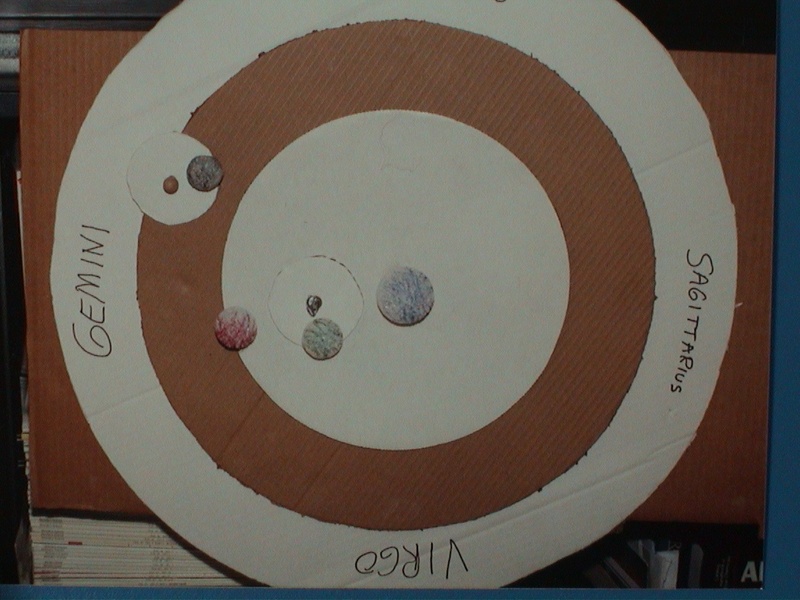 Dynamic Solar System Create a solar system model, with students pacing off distances to scale. (Also in Belorussian translation.) Ref. 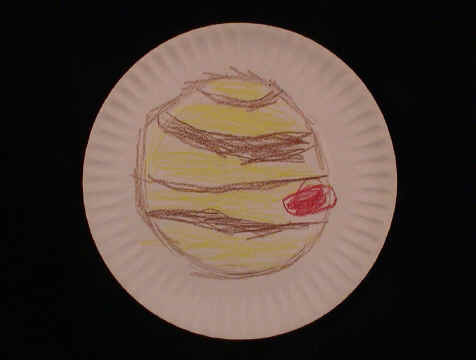 Full Circle Consider the wholeness of the circle and design exquisite artwork from simple paper plates. Currently available only as a Microsoft Word document. (Images courtesy of Bradford Hansen-Smith.) Ref. Galaxy Models Make models of galaxies. Ref. 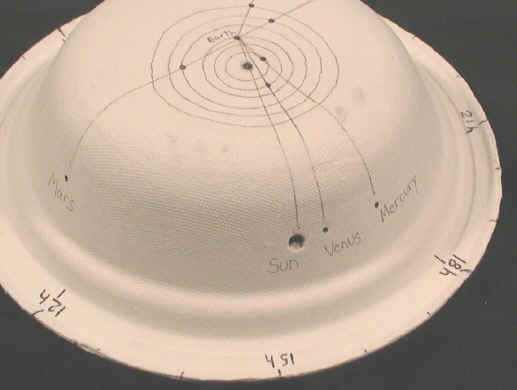 Geminis Signature Model and predict the "signature photos" of the Gemini Observatories, both in Hawaii and in Chile. Ref. Globular Clusters Plot globular clusters or brightest stars and analyze the patterns to determine their galactic locations. Ref. GLPA Logo Given either a date or an hour, determine what time or season is suggested by the star pattern of the GLPA logo. Ref. Gno Problem Mon Track the path of a shadow cast by a gnomon through the day. Ref. Good(night) Moons Rising The classic children's book is illustrated with a keen eye toward astronomical integrity. Ref. How Far The Planets? 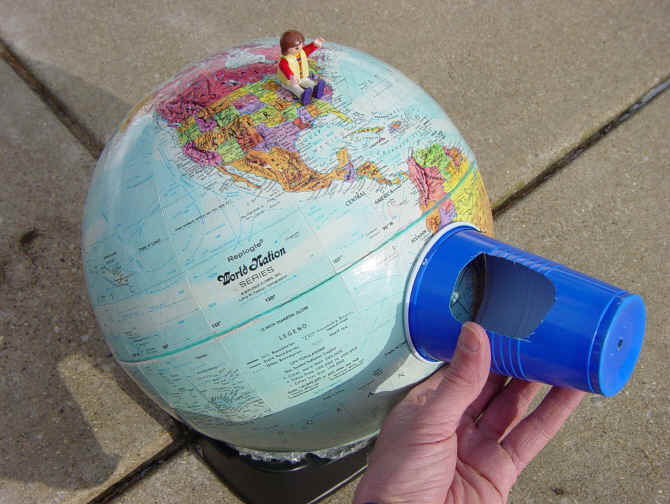 Measure the varying distances of the planets in orbit to reveal their proximity to earth. Ref. Latitude by Polaris Demonstrate how a navigator correlates the observed altitude of Polaris with her latitude. Ref. 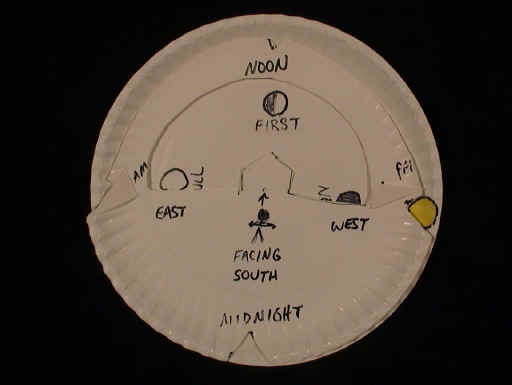 Moon Finder Make a model to explain moon phases and create a moon dial akin to old volvelles to determine when and in which direction one can see any given phase. Ref. 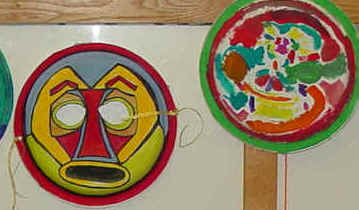 Moon Masks Decorate and wear Moon Masks, Sun Masks and Cosmic Hats. Moon Meets the Football Field Illustrate the concave tendency of the moon's orbit around the sun using a football field for scale. Ref. 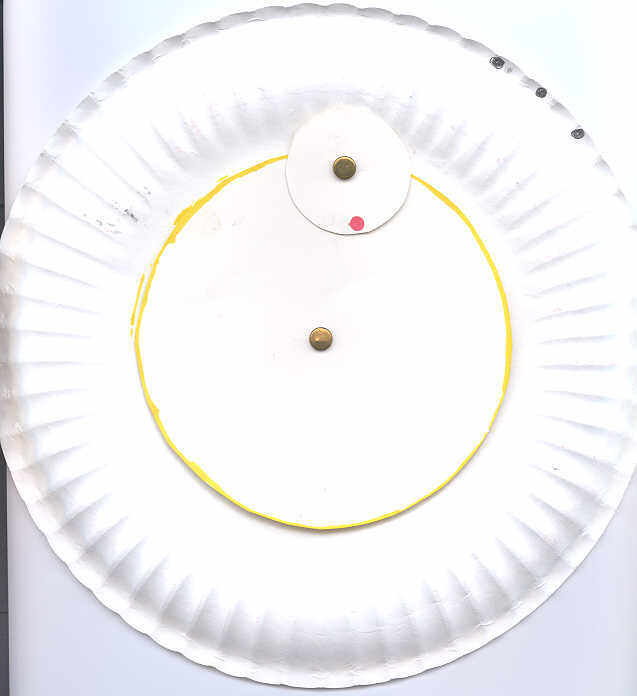 Orbit Basics II Demonstrate elliptical orbits. Ref. 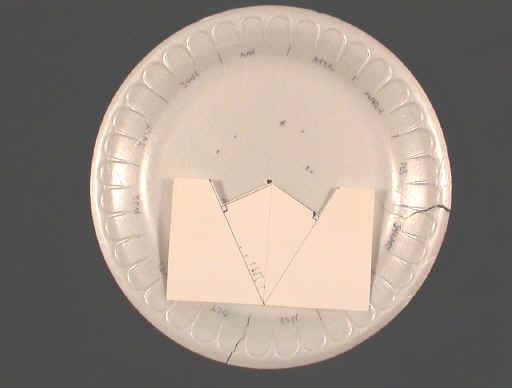 Orbit by Elongation Derive orbits of Mercury and Venus from elongation tables, with Earths orbit on perimeter of plate. Ref. 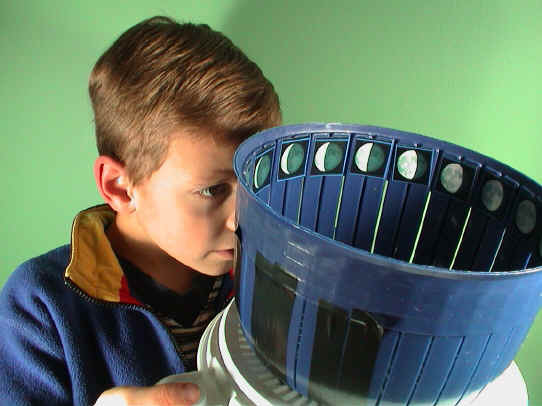 P6 Construct hand-held projectors to indicate the current planet and moon positions inside a portable planetarium for any given time. Ref. 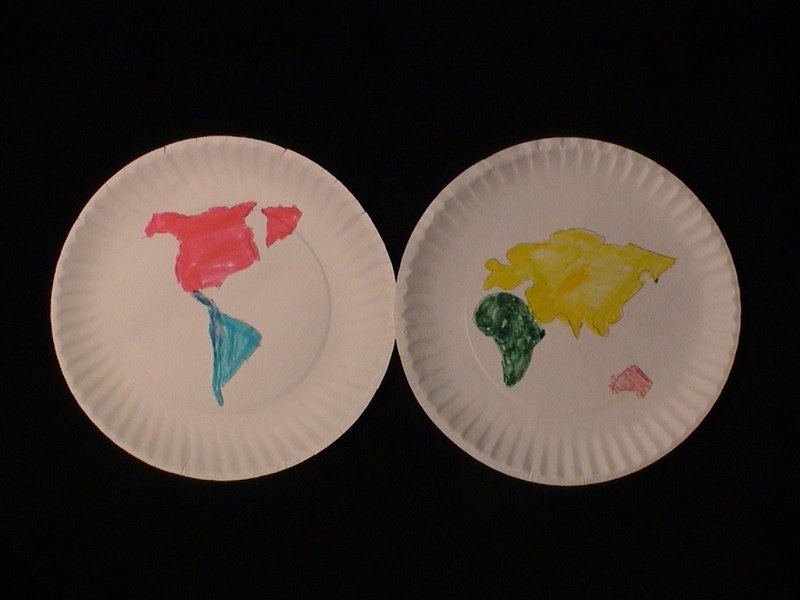 Paper Moons I Cut out portion of plates to depict moon phases. Ref. 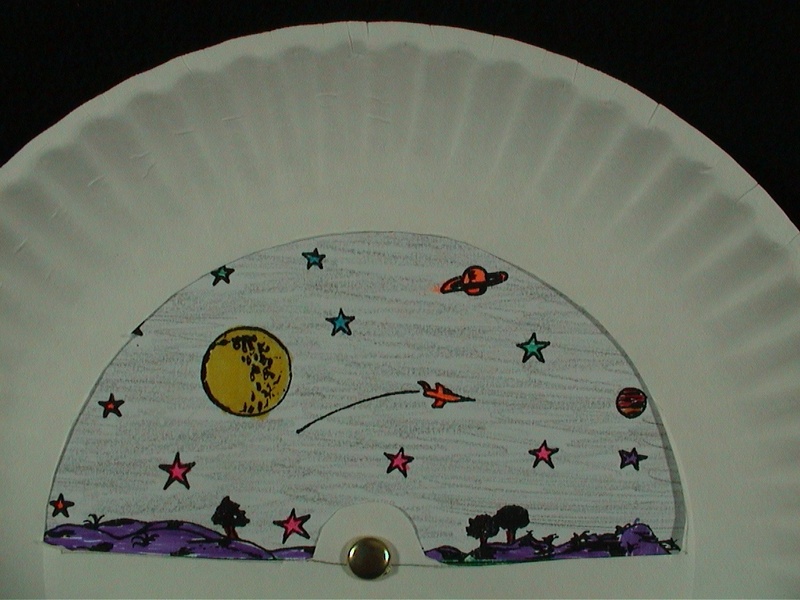 Paper Moons II Cut out portion of plates to depict moon phases. Ref. 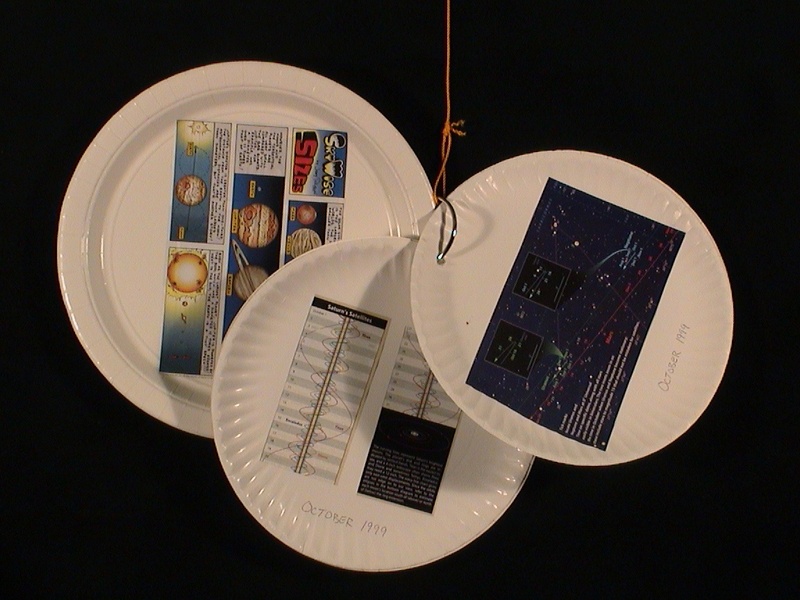 Paper Moons III Cut out portion of plates to depict moon phases. Ref. 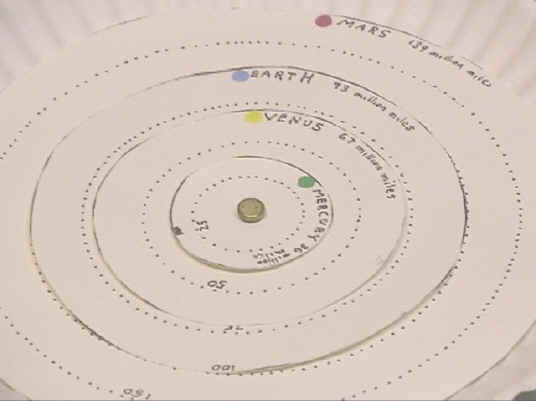 Planet Pointer Make a model of the solar system showing the position of the planets and where to find them in the sky. Ref. 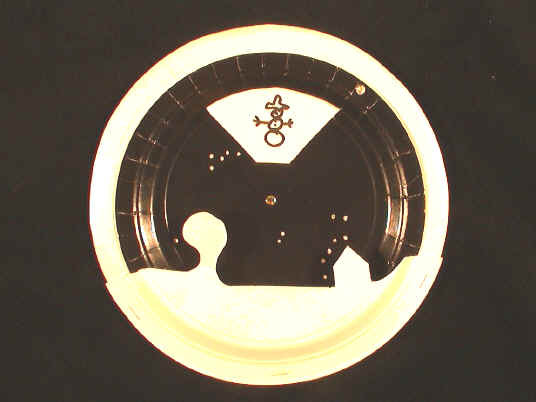 Planet Pointer II Make a planet pointer akin to old volvelles to indicate the position of the planets in the sky for any given time. Ref. 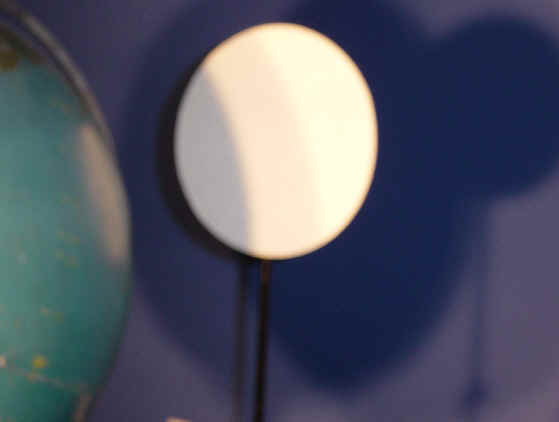 Planetarium Planet Plotting Track the motion of visible planets and correlate the plate view with both the planetarium sky and the real night sky. Ref. 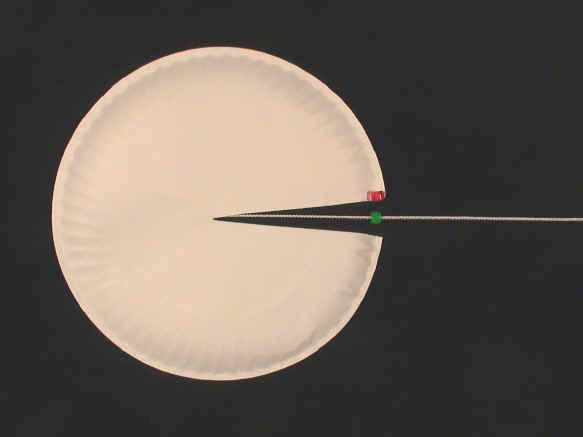 Plateful of Planets Demonstrate the scale of the planets with nuts and seeds relative to a plate-sized sun. Ref. 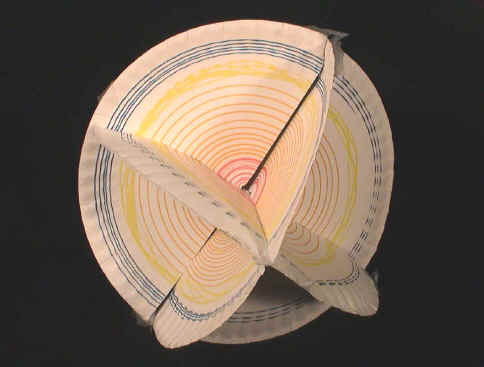 Platisphere Make an instrument akin to a planisphere that shows the position of the circumpolar stars for any given date and time. Ref. 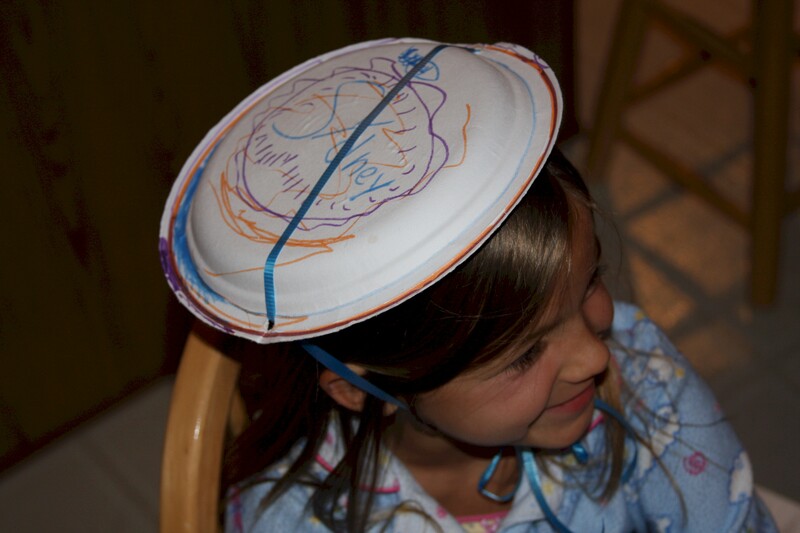 Platisphere for Children Construct a device to locate the Big and Little Dippers and Cassiopeia after sunset through the seasons. Ref. 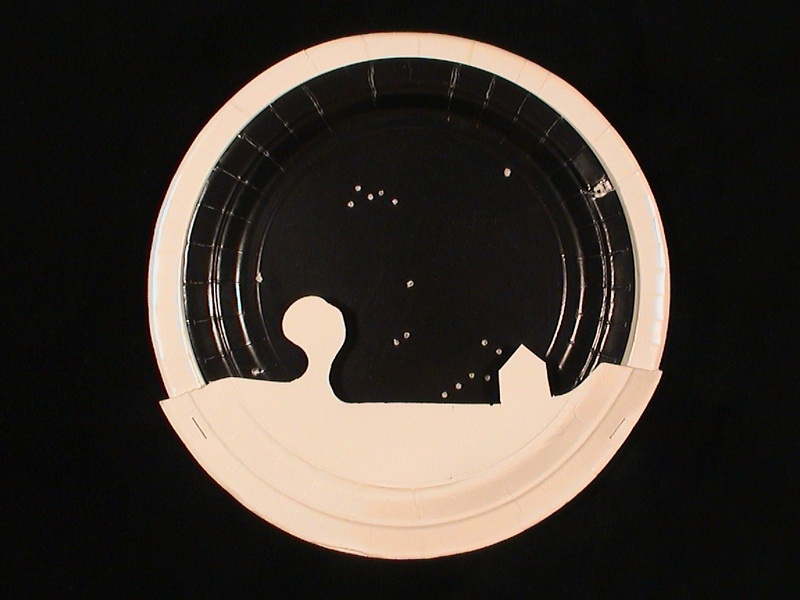 Platisphere Tactile Make a tactile model of circumpolar stars for visually impaired persons by drilling holes for stars on a stack of plates. Ref. 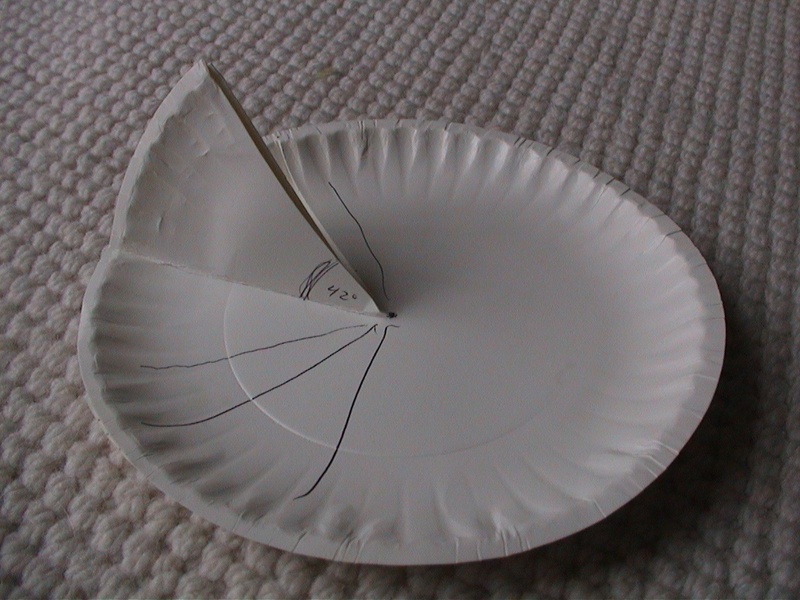 Portable Sundial Create a simple, portable sundial. Ref. 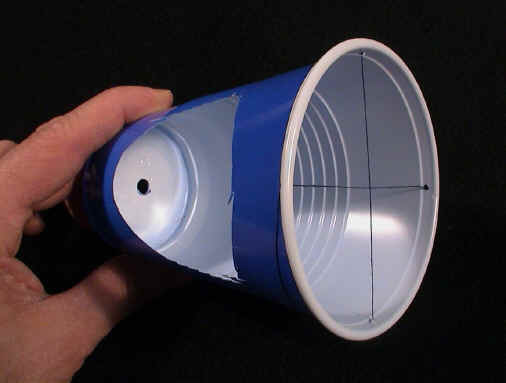 Portable Sundial III Design a portable sundial. Ptolemaic Polemic Make Ptolemaic model with equants, epicycles, and deferents to explain retrograde motion. Ref. 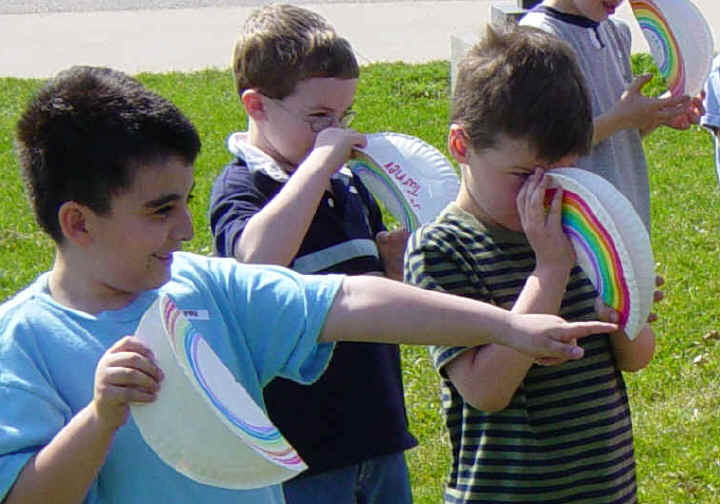 Rainbow Finder Construct a rainbow finder to locate a potential rainbow and to predict its apparent size. Ref. Retrograde Motion Show how planets appear to loop westward against background stars. Ref. 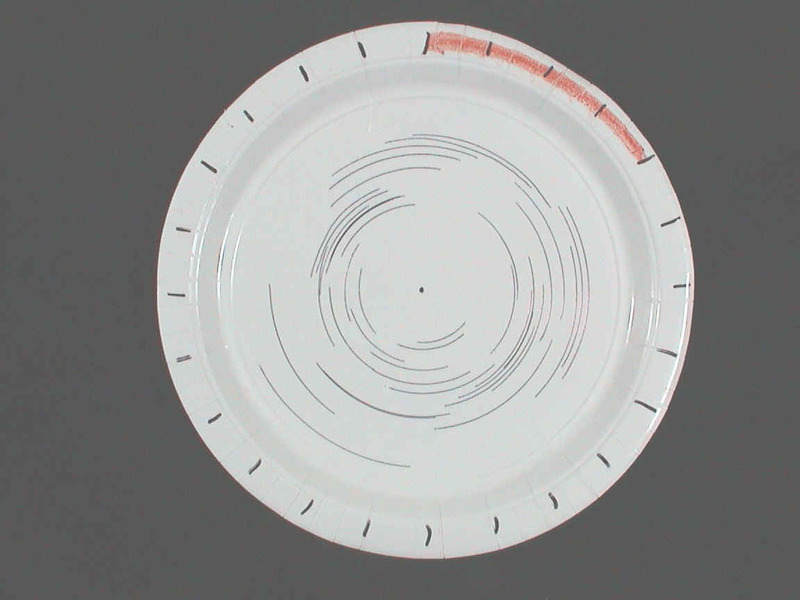 Revolving Star Chart Make a simple plate to depict the circumpolar stars. Ref. 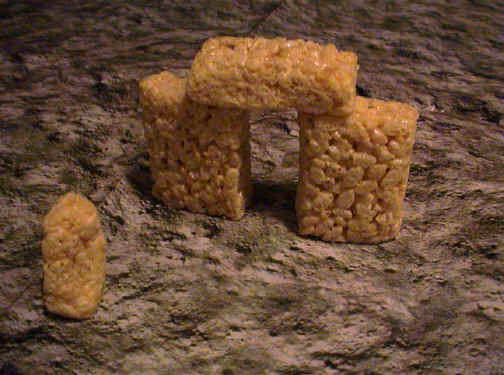 Ricehenge Model the Stonehenge site out of rice cereal treats--then eat it. Ref. 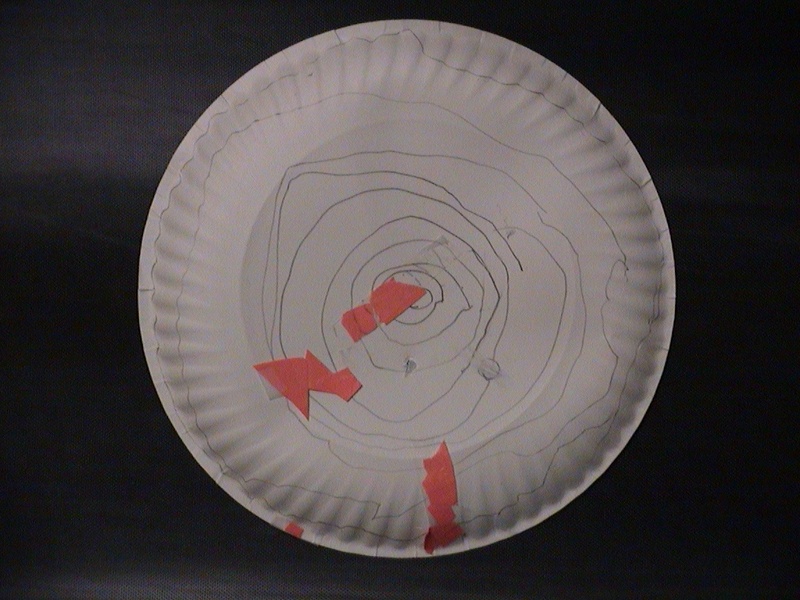 Salad Spinner Zoetrope Make a zoetrope from a salad spinner to illustrate moon phases and persistence of vision. Ref. 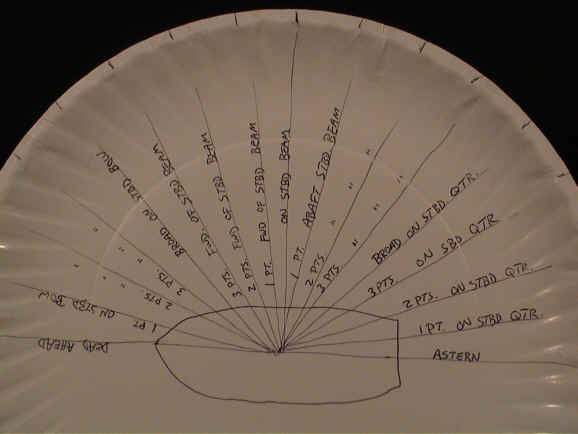 Satellite Tracking Bowl Draw a local horizon and plot the paths and times of satellite passes inside a bowl prior to an observing session. Ref. 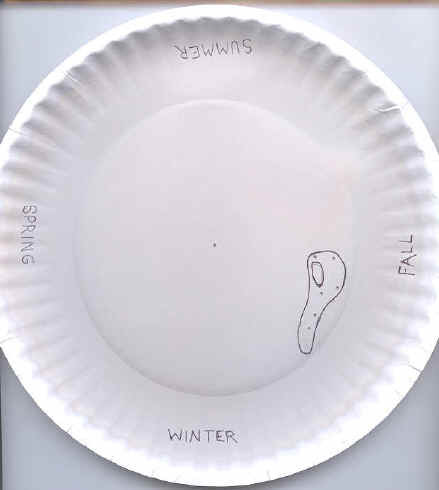 Seasons Make a model to explain the cause of the seasons. Ref. 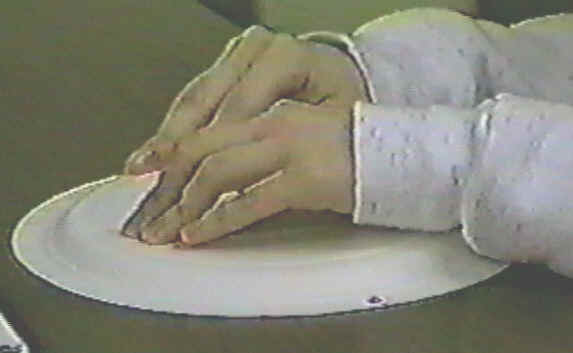 Slide tray index Make a useful index for slide trays that doubles as a dust shield. Ref. Solar System Mobile Create planet mobile with appropriate features. Ref. 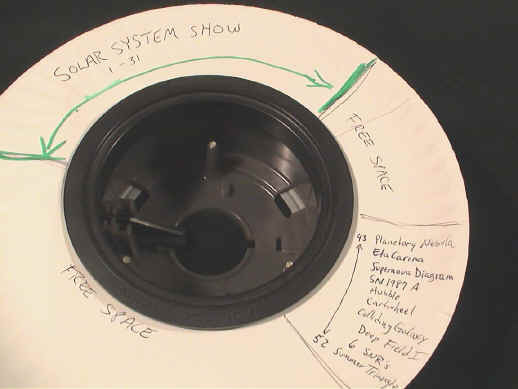 Stargazing Plates Build collection of observing notes, diagrams, images, or other information and suspend from telescope during observing sessions. Ref. Star Life Models Model the timeline of a star's existence. Ref. 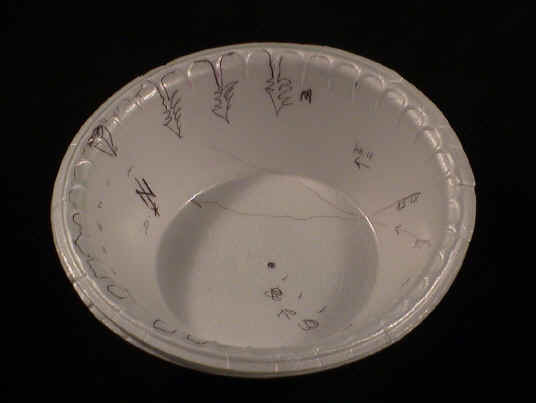 Sub-Solar Cup Track the sub-solar path of the sun across a globe in real time to highlight the boundaries of the tropics and to illustrate an analemma. Ref. Sunrise Sunset Track the position of the sun at sunrise and sunset through the seasons. Track the moon and some stars as well. Ref. 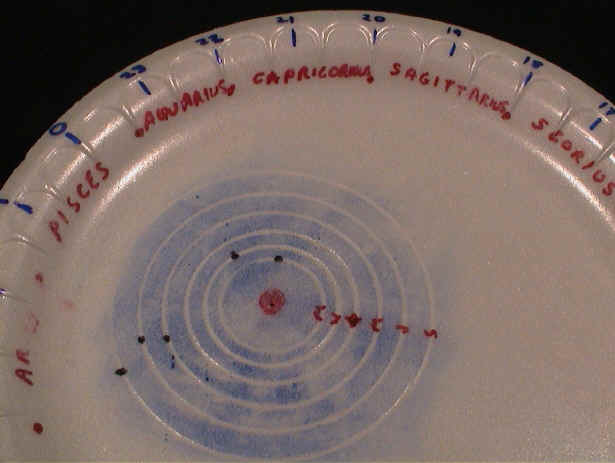 Tracking Sunspots Project, trace, and track sunspots directly on a plate which defines the outline of the sun. Ref. 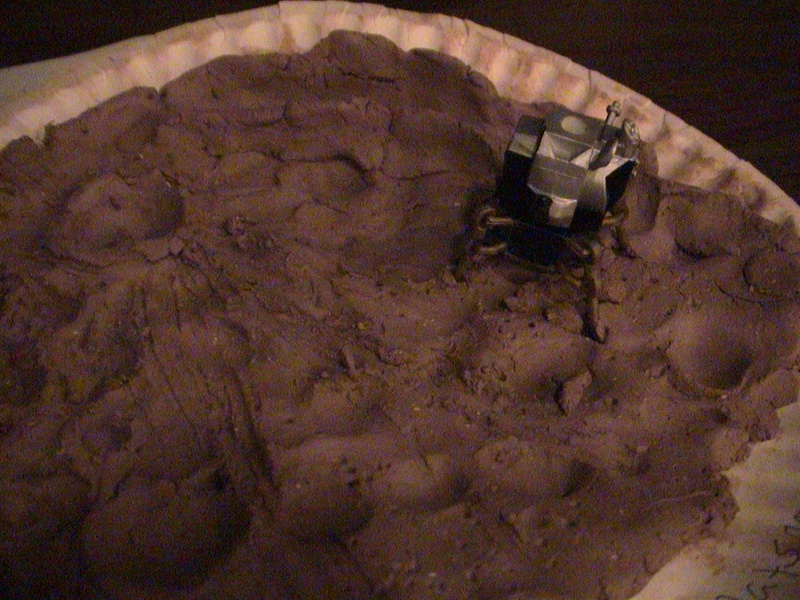 Turtle Hatch Record on a paper plate the fate of sea turtles hatching in the presence of light pollution. 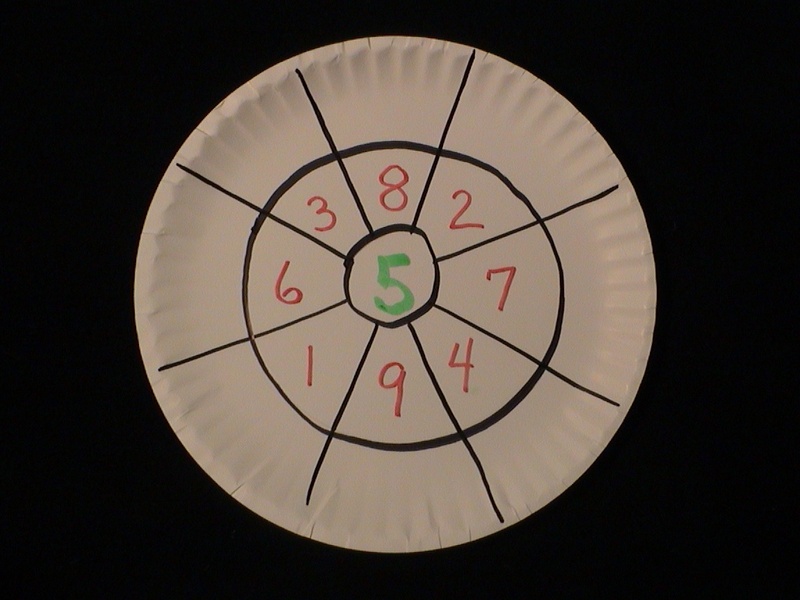 This is a dynamic activity that works best with a large group (say, 50-100) of students. Vanishing Spacecraft Demonstrate visual blind spots that sometimes causes satellites to disappear from view. Ref. *Note: As we build this site we will be uploading much information that has already been published. The far right column indicates what you will find if you click the links that are highlighted under the Title column. 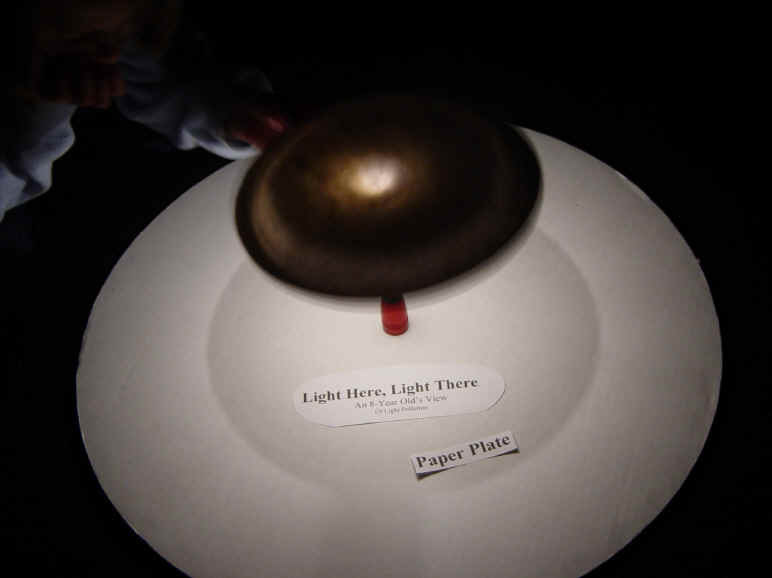 "Ref" indicates that the material was previously published in the respective Proceedings of the Annual Great Lakes Planetarium Association Conference and the reference is cited. As a membership benefit, GLPA members may order back issues from GLPA while supplies last. "Pix" indicates that a picture or image(s) can be found at the Title's linked page. "Text" indicates that you can find text or a write-up on the activity at the linked page, though some instructions are admittedly sparse for now. 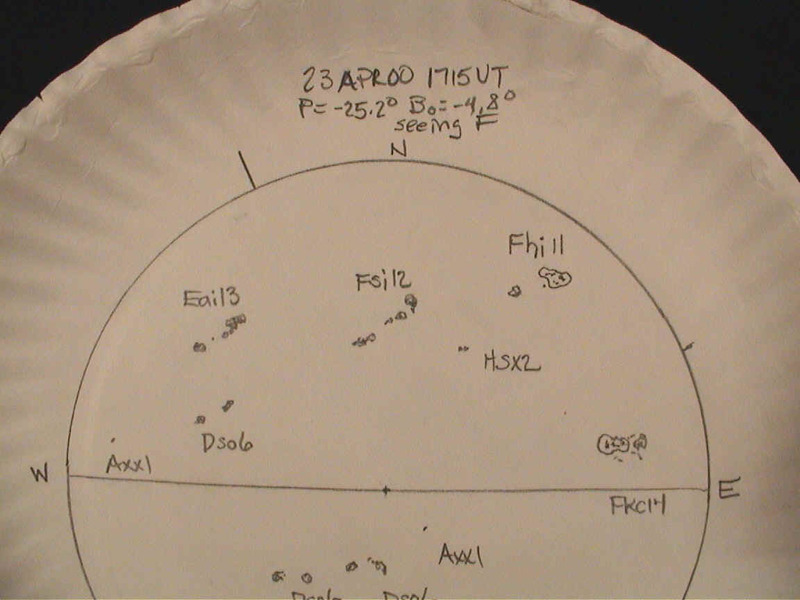 "Video" indicates the activity is included in the Paper Plate Astronomy videotape. Several more activities (below) have yet to be completed and uploaded to this website. 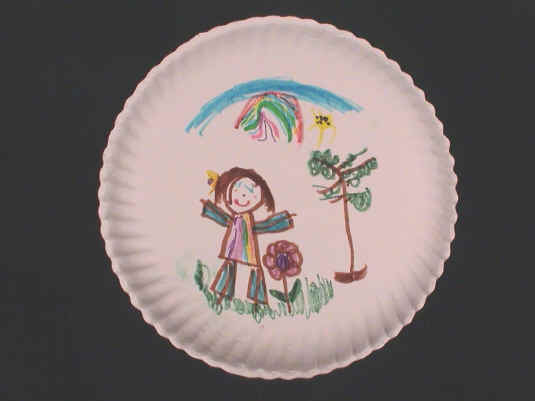 We invite you to complete the development of some of these proposed activities yourself and then offer your handiwork to the Paper Plate Education effort. Thank you for your support. 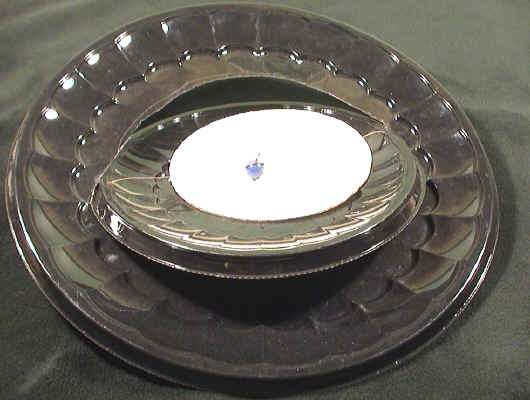 Atoms Build atoms from plates representing protons, electrons, and neutrons. Binary Stars Create a model of an eclipsing binary star system or of any two objects in orbit around a common point. Calabash Cup Make a model of the alleged Polynesian calabash, a water-bearing gourd perhaps used to confirm latitude. Celestial Atlas Recreate historical celestial atlas features. 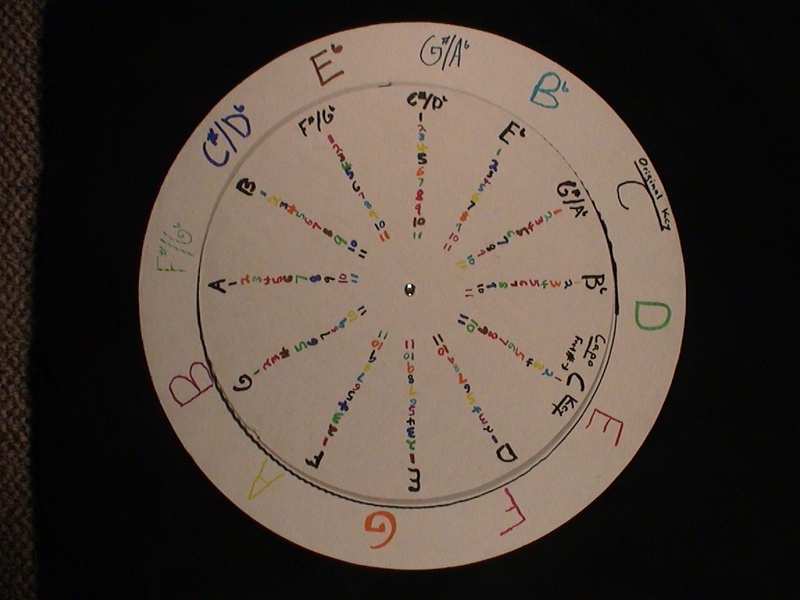 Circle of Fifths Demonstrate the principle behind music's Circle of Fifths. 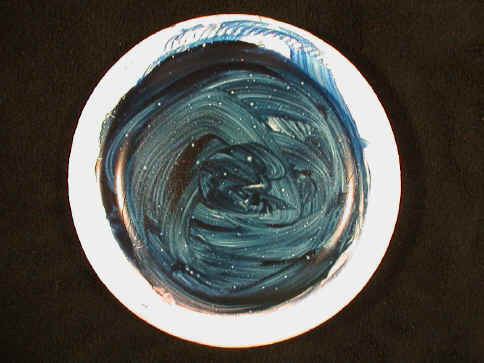 Color Wheel Color multiple plates with varied combinations and rotate them rapidly on a paint brush spinner. Compass Rose Design a compass rose showing the cardinal and inter-cardinal directions and label the traditional points in what is known as "boxing a compass." 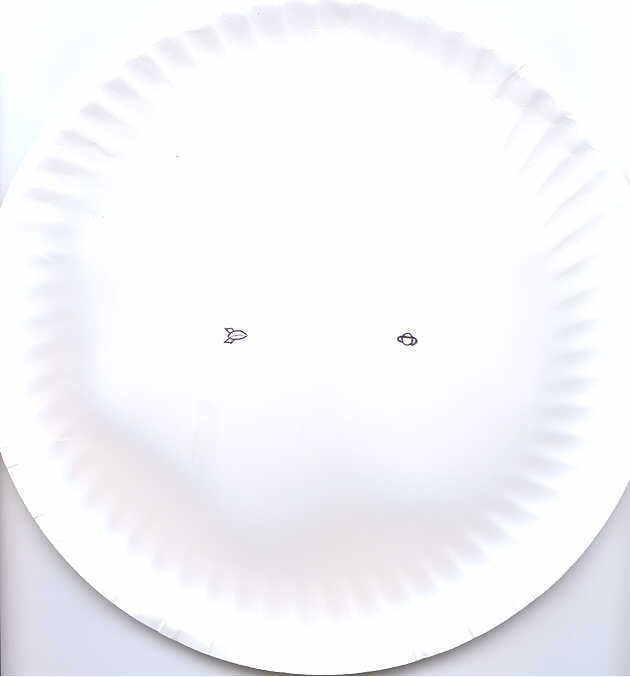 Congruence Correlate declination/right ascension with latitude/longitude using intersecting plates. Connect-the-Dot Constellations Connect dots (on pre-drilled stack) to make own constellations, with no particular side being up. Write story on back. Dig This! 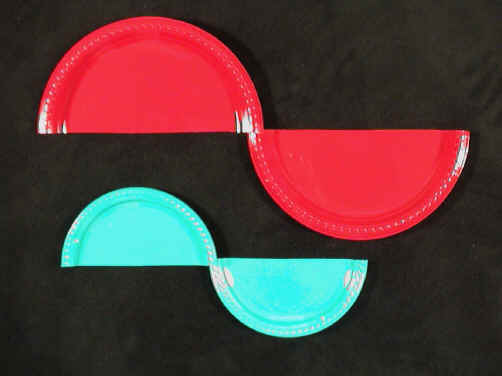 Simulate an archeological dig with a stack of plates and recreate a timeline as you peel away plates that each represent a given number of years. To scale intersperse pictures of "artifacts." Dip Illustrate dip and the need to correct for it during C-Nav sight reduction. 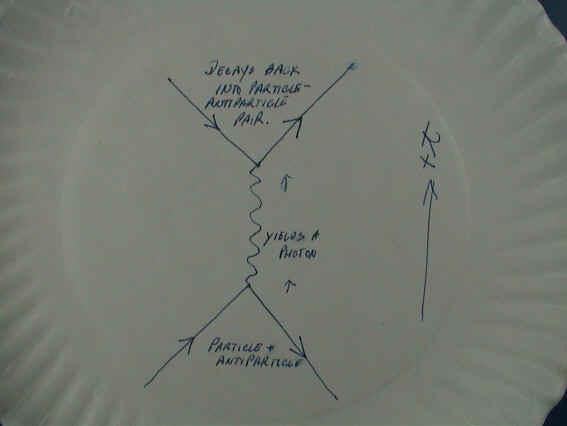 Double Helix Make DNA "ladder" by spiraling and intertwining two plates. 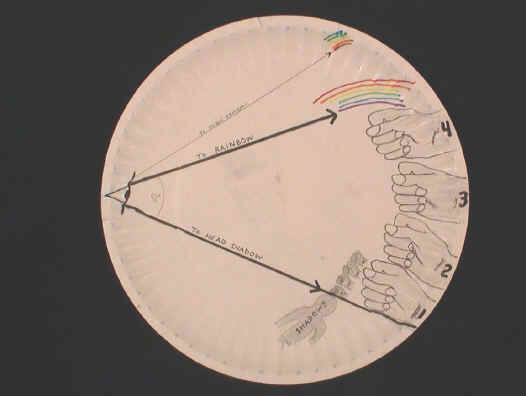 Eclipse Plate With Earths shadow cast onto plate, view back side of plate from multiple holes (at different paper plate latitudes) to observe partial eclipse, total eclipse, and near- eclipse. Expanding Universe Mimic the expanding universe by making galaxy models that accelerate away from each other. GHA, SHA, LHA Correlate Greenwich hour angle, sidereal hour angle, and local hour angle. 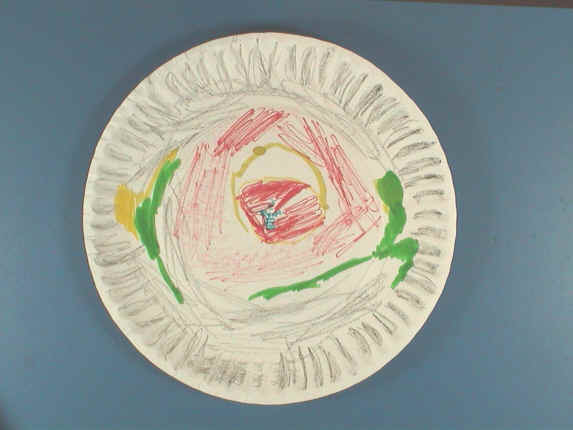 H/R Wall Construct a large H-R diagram on a wall with colored plates of varying sizes. Land & C-Nav Demonstrate the relationships between the date, the altitude of the primary navigation stars at transit, the observers latitude, and the altitude of Polaris. Latitude Formula Illustrate why latitude equals the great circle distance from an observer's zenith to the celestial equator (Latitude =90-Ho +/- same/contrary declination). 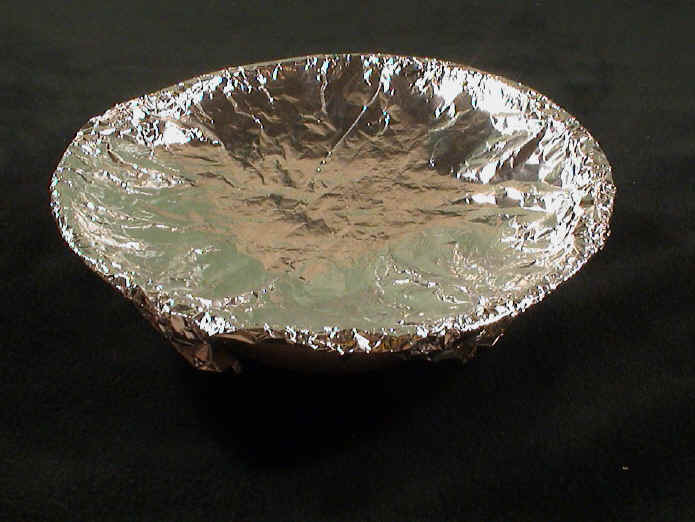 Nickel Plated Create your own design for a new state coin. Select features that are inherent to your interests. Nocturnal Make and use a nocturnal, an antique instrument that determined time from the position of the northern Guardian Stars. 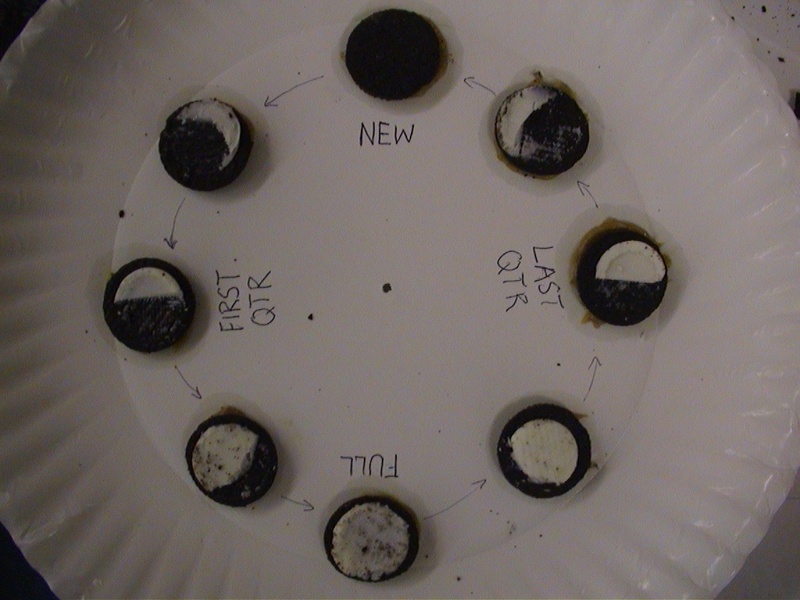 North at Noon Find true north with two timed observations before and after noon. North and Scout Use a scouting technique to determine cardinal (N, S, E, & W) directions. 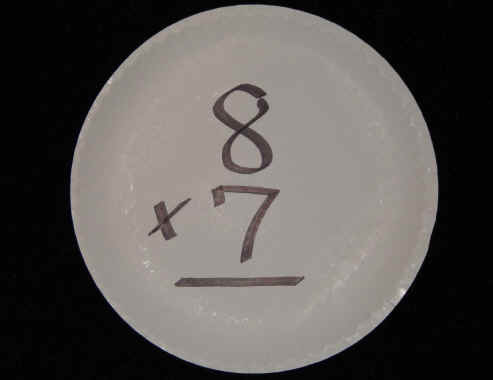 Orbital Shells Demonstrate the principle of orbital shells with stacked plates and cake trays of successive sizes. 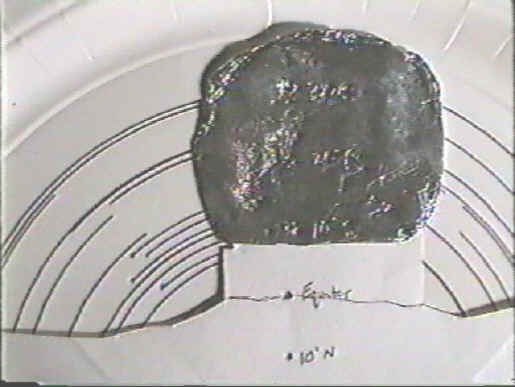 Potato Moon Model lunar features with potato salad and measure mountain heights from contrived shadow lengths. 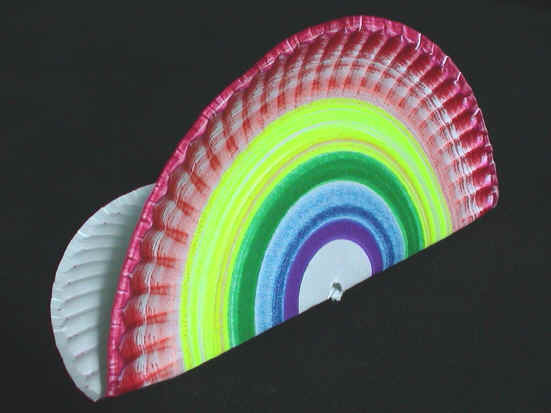 Rainbow Wall Build a rainbow model from suspended clear and colored plates representing water drops. Radar Plating Simulate radar plotting and tracking multiple targets. Determine other vessels courses, speeds, and closest points of approach. 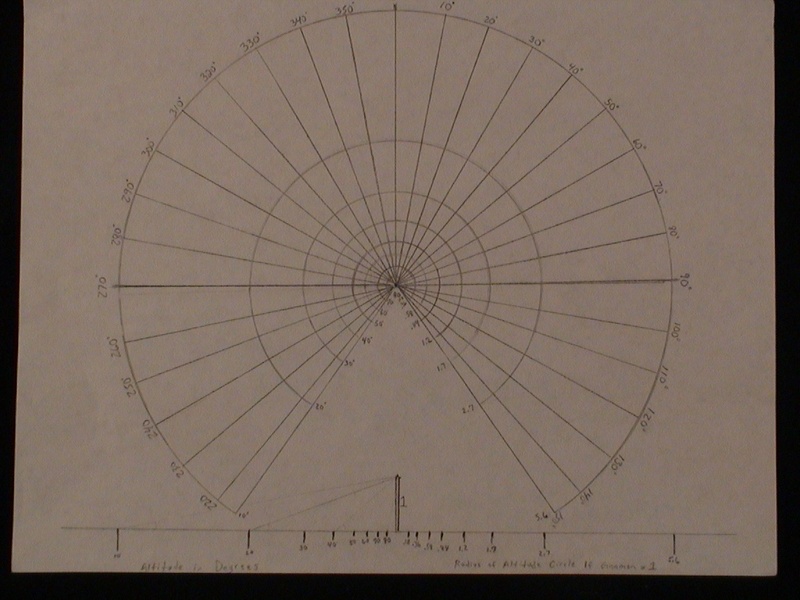 Syene Well Reproduce Eratosthenes determination of the circumference of the earth with a Syene well simulation. See video for sample. 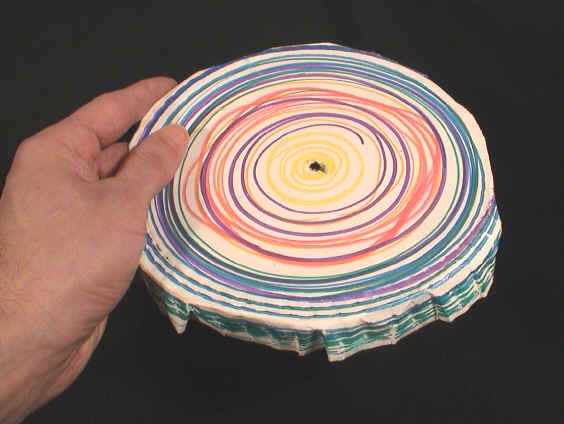 Tree Rings Simulate the cross- sectional cut of a tree to yield information on a tree's history. Vernier Scale Construct a working model of a vernier scale. Viking Directions Make a solar stone, or bearing dial, to simulate the direction-finding technique of Norsemen. .